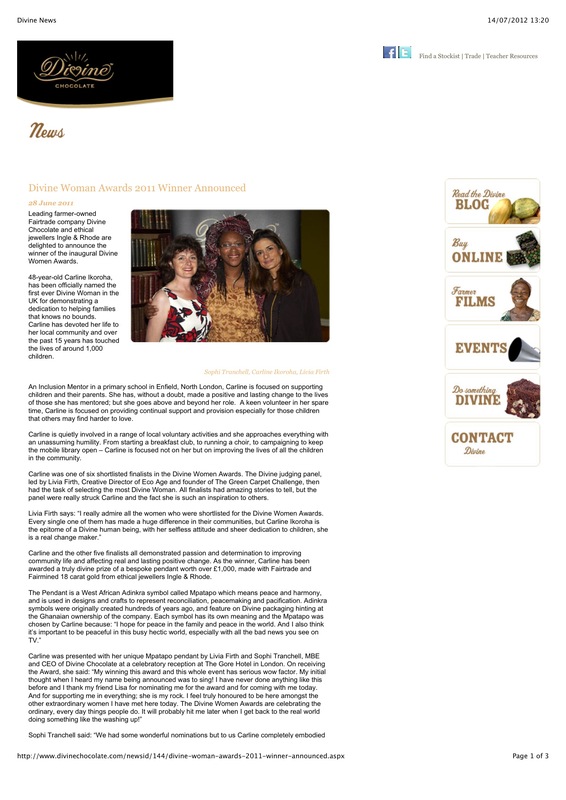 I was recently nominated by two separate people for the Divine Woman Award 2011. The two people who nominated me don’t even know each other but know me – one from the US and one from the UK. Astonishingly they also nominated me for slightly different reasons… one for my work within the cancer arena focusing on survivorship, patient involvement and support. The other for my work within the cancer arena but more particularly for my phyllodes work – finding out more, probing and asking questions, sourcing new information and more importantly my helping others newly diagnosed and through our Facebook group ‘Phyllodes Support Group’. 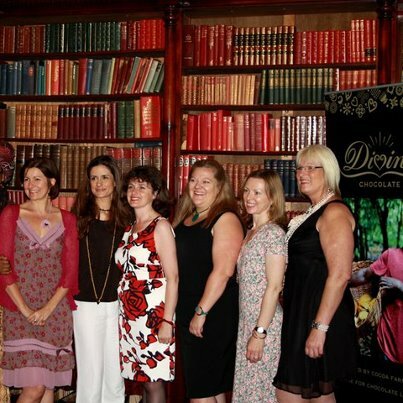 Divine Chocolate realised that I had been nominated twice and I was shortlisted and invited, with a plus1, to the Finalists Reception with 5 other entrants. I didn’t win, but the lady, Carline Ikoroha, who did was very deserving and amazing… as were the other finalists. Here’s the press release that Divine Chocolate. and of course my finalist certificate. I guess the oddest thing about the award though is that I don’t feel deserving of it nor do I feel that I’ve done anything extraordinary or outstanding. The one element of all that I’m doing and have done is that I really don’t want to be ‘centre-stage’ – it’s really not about me! This entry was posted in Living Beyond Diagnosis, Phyllodes, Support, Volunteering and tagged Phyllodes, Volunteering by AnnaGoAnna. Bookmark the permalink.